REM‘s output falls into two camps – the hard jangling college rock of the IRS years and the radio-friendly unit shifting Warners years. Fans are often divided over which era constitutes the band’s ‘best era’, which is a bit like arguing over whether tomato soup or tangerines are better. Both are magic, both are different. Me? Despite the dramatic tail-off in quality towards the end of the Warners era, I like ’em both equally. 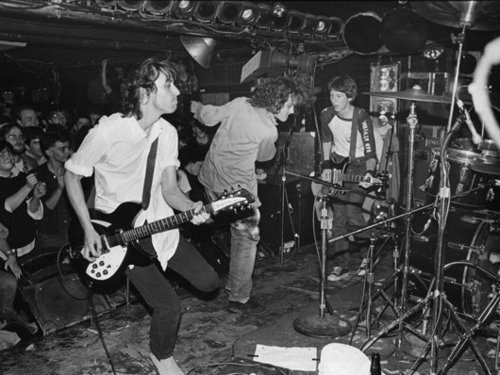 REM were born into the world on the back of Radio Free Europe, first released on their own promotional ‘Cassette Set’, of which only 400 were made. The track was pretty much fully formed from the word go. Counted in on a pistol crack snare and carried in the verses by a tightly coiled spring of a guitar riff, it explodes in a colourful burst of glassy 12 strings and up-the-frets bass. There’s also an extremely rare ‘Radio Dub’ version which has novelty appeal, interesting for the treated vocals and rudimentary special effects. *credit where it’s due – these tracks came a few years ago via The Power Of Independent Trucking blog. I think at the time they were almost shut down over the inclusion of them, so shhh! Local label Hib-Tone were suitably impressed by the demo cassette to offer the band a one single deal, and Radio Free Europe was committed to 7″. 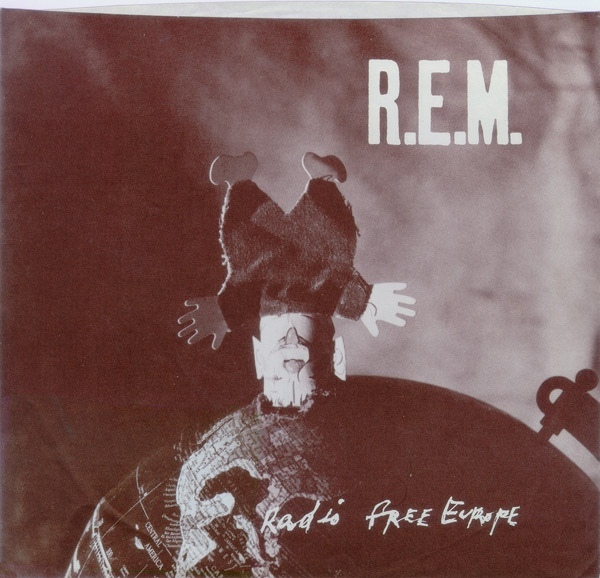 The band themselves weren’t overly impressed by the finished results, but Radio Free Europe is the perfect defining introduction to the band – great musicianship fighting for earspace with the sandpaper vocals of Michael Stipe. Stipe is clearly a passionate vocalist, but you’d need a degree in WWII code cracking to work out what he’s on about here. Even when you can make out the words and phrases, many of them make little sense. That’s not right, of course (Taking my cue from the chorus, I don’t even think I’ve got the right title for this piece), but that’s what I’m hearing. The first time I heard it, I actually stopped the record after a minute to check I hadn’t a build-up of fluff on my Grundig ‘music centre’ stylus. A quick Google of the lyrics just now (there was none of that in 1989) doesn’t help either. There are many websites offering you their definitive take on the lyrics and, like much of the internet, the information is only as good as the person who put it there. I’m not convinced any of the lyric sites have the words 100%. Just as you most certainly shouldn’t be convinced by my ham fisted attempt above. 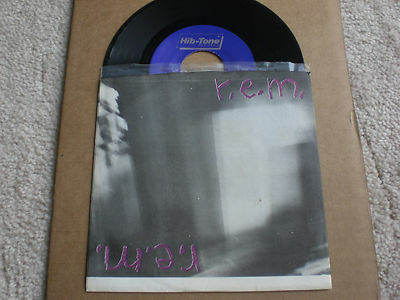 Not for nothing was REM’s first LP called ‘Murmur‘. Radio Free Europe and the band was picked up by IRS. Re-recorded and re-released, the track also kicked off side 1 on Murmur. It was slower and less murky, perhaps on the instructions of producer Mitch Easter, but Michael’s mumblings were all over the record like the fuzz on a Georgia peach. There’s also an annoying hi-hat ‘tick tick tick’ all the way through the verses that, once heard, can never be dislodged. The best bit is still towards the end when, on one of the final choruses, all instruments bar the beat-keeping drum drop out before returning a second later. 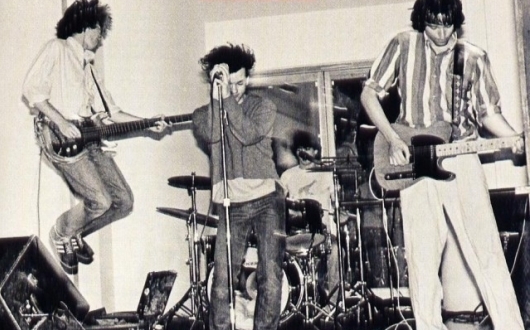 The band played it live less and less as the years grew. In fact, you can probably chart it’s appearance in set lists in direct proportion to the introduction of the mandolin in their sound. 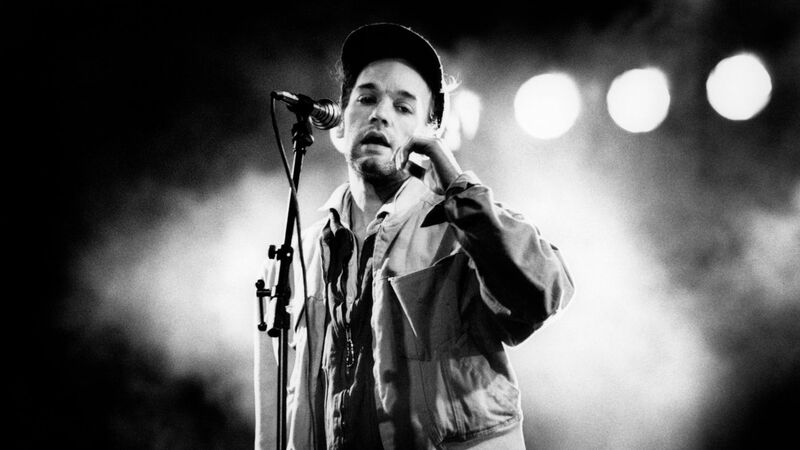 It was something of a surprise to this audience (venue unknown) in 1992 when REM played a rare version. No doubt inspired by Nirvana and their ilk who were all the rage at the time, this version is a somewhat muscled up, balls-dropped shitkicker when compared to its original form. It brings to mind the harder sound of future LP Monster. Mike Mills plays like a demon possessed on this. Thankfully Peter Buck hadn’t yet discovered the tremelo pedal that would spoil much of the upcoming LP. Early REM wers really special.